2014 was a busy year for the RGCG. We were involved in a big river restoration at Bayfield, the de-silting of Selbrigg Pond and lots of other work pushed forward by the brilliant Norfolk Rivers Trust. More on this work soon, but here I just wanted to summarise where we are with eels and white-clawed crayfish, two iconic Glaven species. We started our first ever elver survey in 2014 with the aim of seeing how well they are getting up river. An elver trap was set up at Glandford Mill on 15th April, with this emptied every day by mill owner Willie Brownlow and other volunteers until 21st September. We excitedly reported our first elver on 15th June and were ready for a huge catch! In the end we caught a total of 9 elvers with a little flurry of catches in July (1 caught on each of 22nd, 23rd, 25th July). The bucket full of elvers suggesting a massive run did not happen and we think the reason might be poor elver passage through Cley Sluice. Reacting to this the EA are looking into this potential problem – lets hope that 2015 sees bumper catches! In September 2014 we undertook our 4th native white-clawed crayfish transfer, this time to a site at the top of the Glaven. 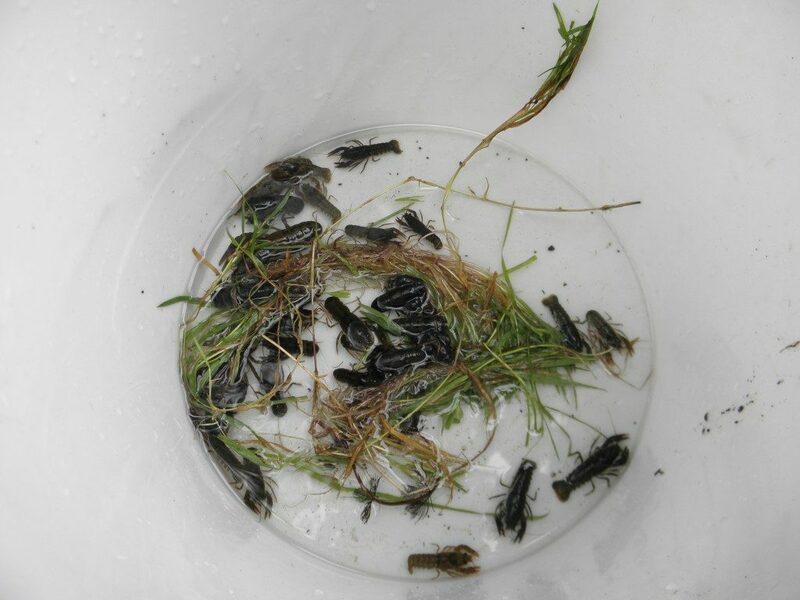 Some 300+ native crayfish were caught from the river at Little Thornage by top-class team of volunteers from the EA, RGCG, UCL, Norfolk Biodiversity Partnership and the Norfolk Rivers Trust. All the crayfsh were carefully measured, sexed and checked for disease before transport to their new upper river home. If the invasive signal crayfish ever gets above Letheringsett Mill (they are present below this point), we now stand a good chance of natives surviving in other more remote parts of the river system. 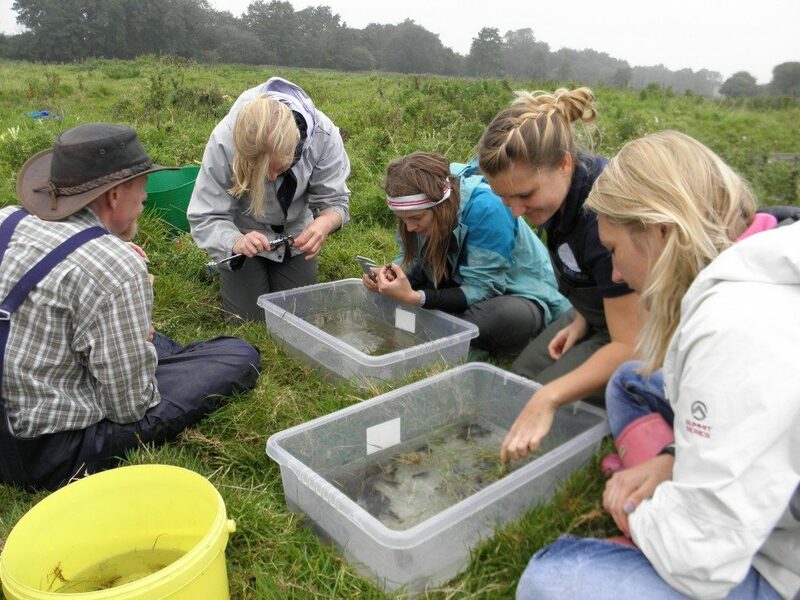 In 2015 we will organise surveys at our past crayfish transfer sites (so-called “ARK sites”) at the River Stiffkey, Gunthorpe Stream and a remote Glaven lake. Fingers crossed that they are doing well. I am sure that 2015 is going to be a busy year…there will be pond restorations in the Glaven catchment linked to the Norfolk Ponds Project (more on this soon), a wetland will be installed above Baconsthorpe Castle Moat to help reduce nutrient concentrations to the moat and downstream (Catchment Restoration Fund work pushed foward by the NRT) and undoubedly we will do more restoration work in the Upper Glaven area and on the Gunthorpe Stream. Plenty more still needs to be done to help conserve one of England’s most beautiful river valleys. The RGCG would like to give thanks to the Norfolk Rivers Trust for all the amazing work they did in 2014. Its a pleasure to work with you. Next PostThe Glaven eel project – the elvers are running!